Our work and education training programs are designed to provide the people we serve in our community with the education and employment they need to lead successful, empowered lives. Our Community Education program helps students who are interested in pursuing higher education in the community. Our Education Counselors help members navigate the education process from beginning to end, including proving on campus support. 2Succeed in Education is a psychiatric rehabilitation and supported education program that supports individuals in their recovery and promotes wellbeing. Our program acts a bridge to the greater community, offering opportunities for individuals to participate in educational and wellness pursuits. The 2Succeed in Education program offers a wide variety of classes and trainings to participants. Computer classes are taught in two computer labs in our facility for all ranges of computer skills. We offer members an opportunity to gain valuable, paid, on-the-job training while preparing and providing nutritious meals within Sally’s Café. The art program provides materials, art instruction, and a spacious art studio, to create many different forms of visual art. We offer several music education classes and provide members with an environment that promotes their own musical expression. 2Succeed offers an array of classes designed for members looking to go to college, take the GED or learn vocational skills. Other services provided by 2Succeed in Education are focused on well-being and recovery for the whole person. This includes fitness, nutrition, social, spiritual, and recreational pursuits. Work is an important goal for our clients and an important factor in their recovery. 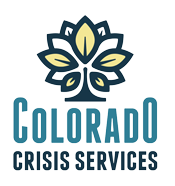 2Succeed in Employment teaches recovering people professional skills, provides career assessments, and matches Denver area businesses with productive and motivated employees. Our 2Succeed Employment Program assists our clients in finding employment, while providing businesses in the community with dependable, productive, and motivated employees. Our specialists support both employer and employee, and work to strengthen employer relationships for successful outcomes. In-depth interviewing, aptitude, and on-line interest testing are used to assist in selecting a job goal. Individualized training is provided in completing job applications, resume writing, interviewing, appropriate dress, time management, and professionalism. We place individuals in "real life" learning situations, offering the employer and individual the opportunity to learn from others on the job. Job carving involves analyzing the duties performed in a given job and identifying specific tasks that might be assigned to an employee. A job coach acts as a liaison between employer and employee in order to ensure success.